We have added some cool Updates and Some Up coming features! We hope you enjoy them. Please note the KOTH Is in Beta. As it COULD Be buggy. If it is make a Bug report on the forums! KoTH ( King of the Hill ) Is you capture a area at /warp nether. 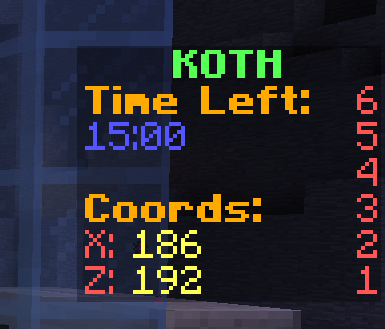 The Coords will be marked in chat and on the scoreboard. When no one is capping the time left will remain at 15 minutes. If no one is camping KOTH For 25 minutes. It will just end. 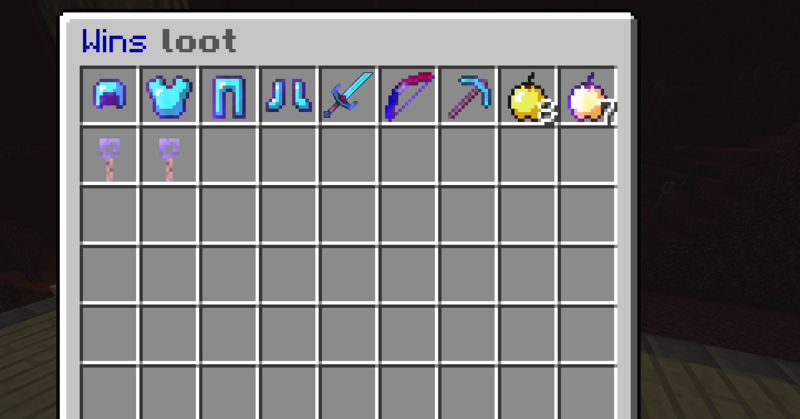 We have some amazing new features added What could it be? Envoys. Envoys will spawn randomly in /warp wild Not outside of the claim. They can give loot like kits, Money ect. In this announcement. We will share some updates as well with some new Staff members & promotions! The time of truth is here! Here are our new staff members. Please give them respect as you would to me or anyone else on the team. Give them a few days to settle in. Here is our list of new recruitments! These players have gone beyond what was asked and for this they have deserved a place on our promotions list for this month! Good luck to all and keep of the good work. We are here at the end of May. That means 1 month left of School! Get ready for the summer! You might of wondered. Why we didn't have crates before. Now we do! Go to /warp crates or at /spawn and test your luck with one of our Epic crates! Don't worry it wont hurt! Chance to win a Genbucket in Ultra! New forums updates and In-game changes. As you noticed the forums has been upgraded with a New style and home page, We are working hard to make this server the best experience you have ever had! | May Updates and changes. This player has showed great potential at being helper, welcome to the team! Wow! This player has shown great potential as staff. From the application that got everyone in surprise to being there on the server and asked if we needed help! Welcome to the team ! We have recently losted our Community Manager Due to him being a part of the reasons the Wipe, We have added a new Better CM, @GlobalPanda Give him a Nice GG If you see him! He is working very hard, He is also lead of Content Team. As you noticed, Everything is back to Default, Just like the early days We are working on fixing all the Styles and Add-Ons back to normal, Should hopefully be done in a couple of days. Thank you for your patients With this un-Wanted Issue. Welcome everyone to our first forums announcement on our new forums! Time to discuss everything we need to catch up on ! New events in store! Our old events have been postponed, while our new ones will be stated below! We are having a 3 hours competition event separated in 3 parts.